A surgical procedure called a lumbar laminectomy is to help lessen the pain caused by spinal stenosis. This is usually found in elderly people and is associated with degenerative changes in the spinal cord. The lumbar laminectomys goal is for specifically removing the small part of the vertebrae that covers up the spinal canal called the lamina. It is often called a decompression surgery since it helps to enlarge the spinal canal which relieves the pressure that was on the spinal cord or nerves. This pressure gets caused by many things including a herniated disk or spinal stenosis. This is most commonly performed on the vertebrae of the lower back or in the neck area of patients. Are there any risks associated with a lumbar laminectomy? Surgical procedures always carry risks but a lumbar laminectomy is a relatively safe procedure. As compared to most surgeries, there is a risk of ending up with complications such as infections, blood clots, or bleeding. Since performed on the back, there is some chance that nerve damage may occur or that possibly spinal fluid might leak out. How does the laminectomy work? This surgery, also called an open decompression surgery, well start with a single 2 to 5 inch incision being made in the middle of the back. The muscles are then dissected from the lamina. Once they have reached the spine, the lamina is then removed. Facet joints situated over the nerves root get trimmed back allowing more room for the roots. Majority of patients will stay in the hospital for one to three days after the surgery. The time it takes to recover and return to regular activities all depends on the age of the patient and what condition they are in physically. Patients get encouraged to start walking soon after the end of the surgery but they are to stay away from any lifting, twisting, or bending for about six weeks to allow the sutures to properly finish healing from the surgery. What is the goal of the surgical procedure? The point of a doctor performing this surgery is so the symptoms of spinal stenosis gets alleviated. This condition gets classified by the spinal nerves being compressed inside of the spinal canal. Aging as well as repeated stress or strain will wear out the spinal discuss and cause them to weaken. 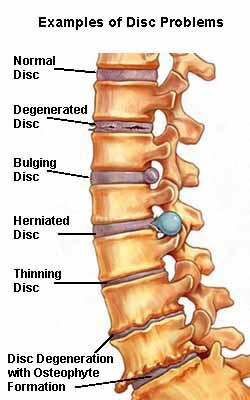 If the outside rim of a disc in your spine begins to bulge out, it can rupture the spinal canal because of how far it protrudes out. This results in the spinal canal becoming narrower and can cause the nerves that are found inside of the spinal canal to become squeezed. Bone spurs get caused by degeneration. This occurs in the area around the edges of the vertebrae and around the facet joints. As a spinal surgeon performs a lumbar laminectomy they remove a part of the lamina bone as well as any bone spurs that are present. This is to relieve the pressure from the spinal nerves and create more space in the spinal canal giving more room to the nerves. The procedure takes between one and three hours from start to finish. Patients who receive lumbar laminectomies report that their conditions get improved measurably afterwards. When the original cause is age or arthritis, the pain may end up returning over time. Majority of the time a lumbar laminectomy improves any of the leg pain that gets caused by the nerve being compressed in the back. Since the surgery does not fix what condition caused the nerve to become compressed, it is highly possible for the symptoms to wind up returning over time.